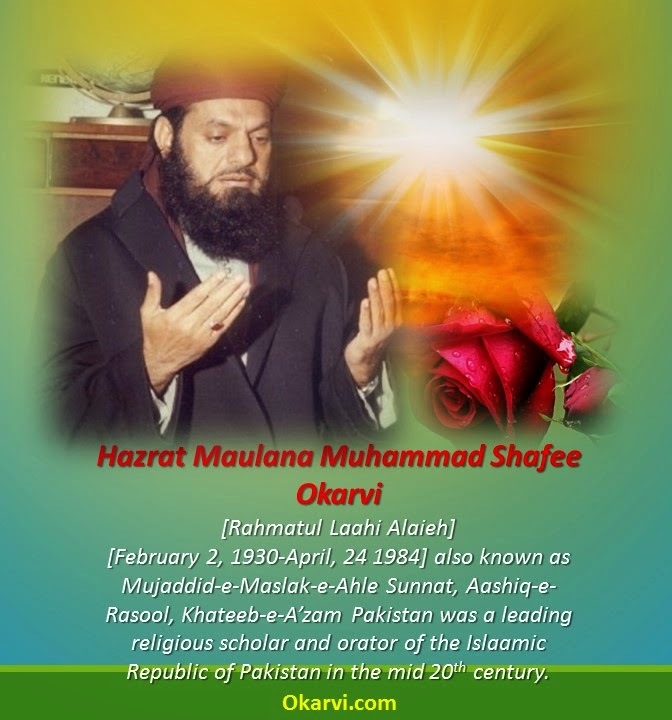 Today is 24th April, according to the English calendar today is the day when Hazrat Khateeb e A'zam Hazrat Maulana Muhammad Shafee Okarvi (Rahmatul Laahi 'Alaieh) left this mortal world. It is requested to all to do Faatihah Khawaani for forwarding rewards (Ieesaal e Sawaab). 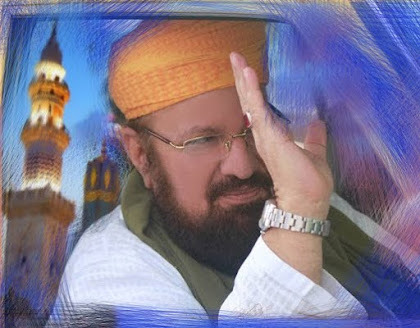 In Shaa Allaah his 32nd Annual 'Urs Shareef will be celebrated on 7th and 8th of May 2015.